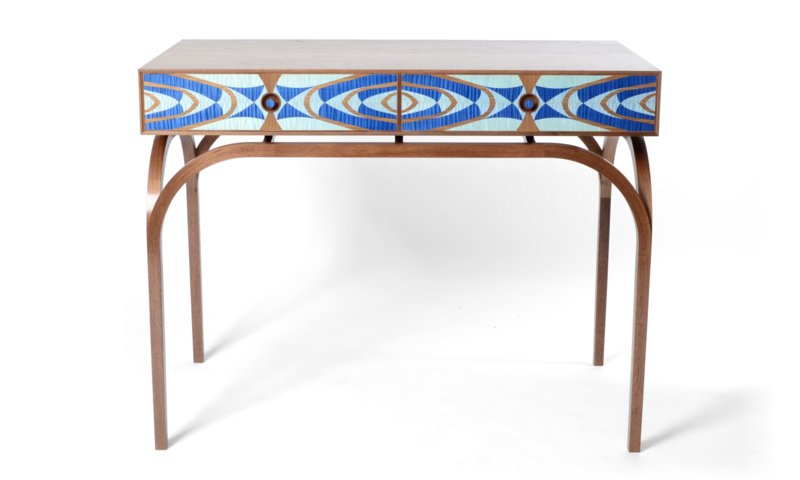 Inspired by studying vaulted ceilings found within many churches and cathedrals, this table is made from walnut, with contrasting sycamore drawers fronted with bright coloured ripple sycamore and walnut veneer, all arranged to reflect the intricate pattern of a vaulted ceiling. The media unit has a ‘mid century’ feel to the overall form with complementing highly patterned flush-fronted sliding doors. Made from solid oak with internal oak shelves and a contrasting rosewood sliding track. Adjustable shelves with inter-connecting access holes for cable management and hidden sliding panels at the rear for power leads. Click on the picture for the full story…. A simple display unit produced for cacti plants but could equally be used for any collection of small ‘objects of interest’. 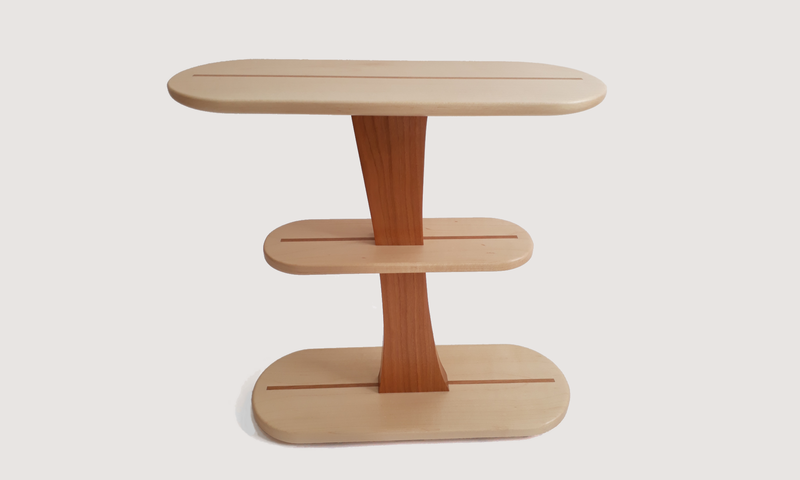 An elegant small occasional table shown in maple with rosewood inlay detail. 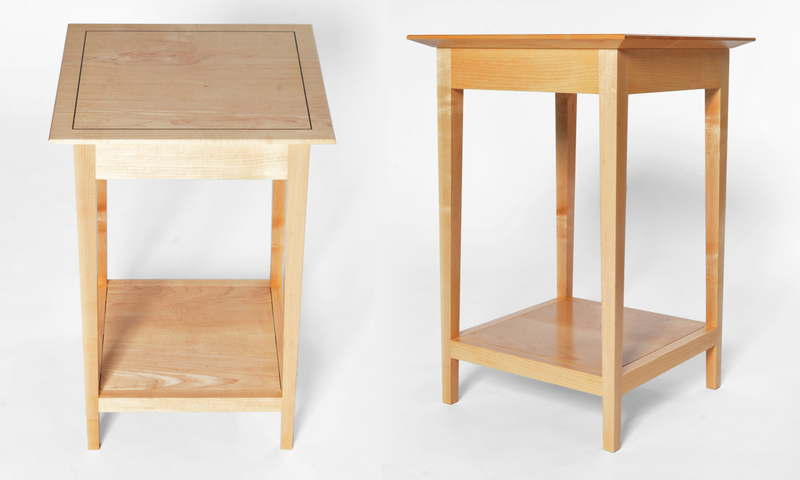 The tapered edge profile and shadow gap around the lower shelf add further subtle interest. 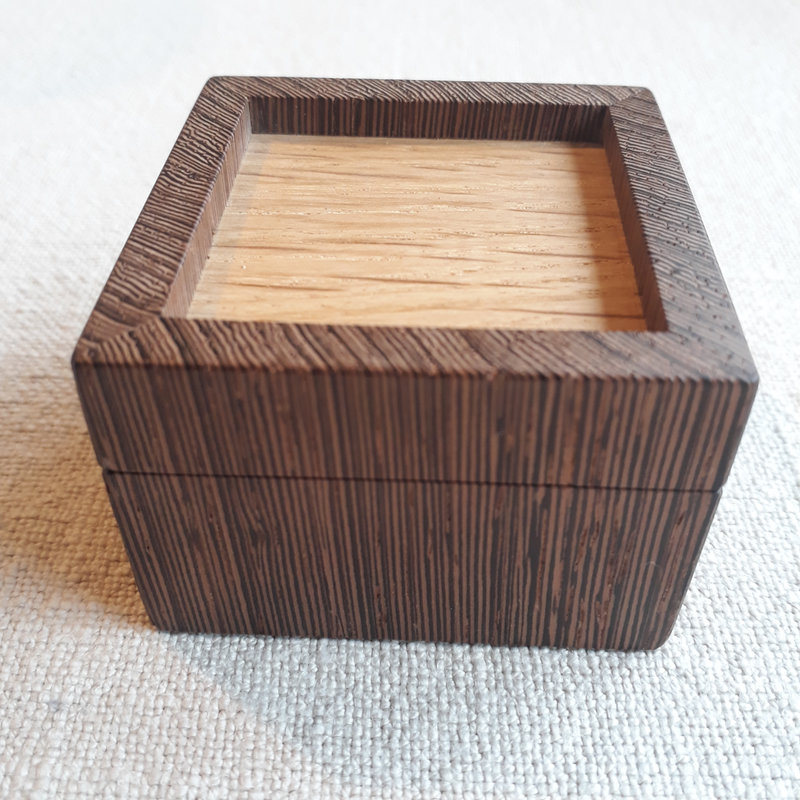 A simple wall hanging cabinet in ripple sycamore and wenge. The traditional dovetail carcase construction and frame and panel doors are reminiscent of the arts and crafts era of fine hand-crafted furniture making. This theme is echoed in the delicate ‘pinch’ handles. 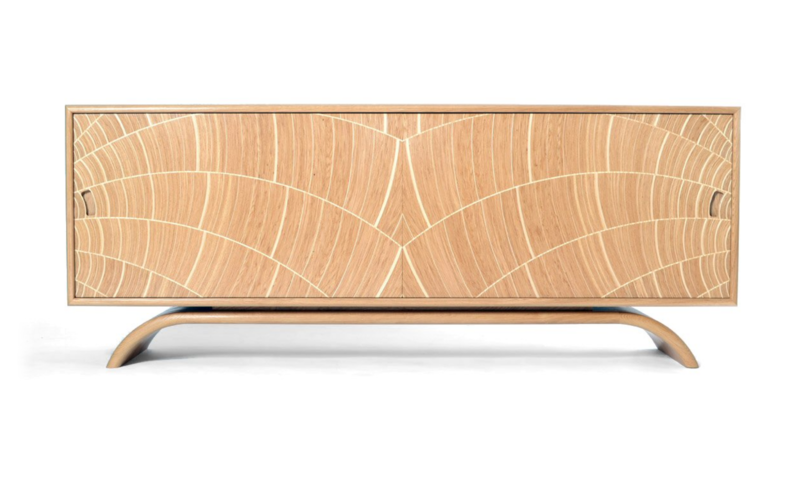 An eye-catching coffee table shown in walnut with contrasting sycamore circular inlay details. 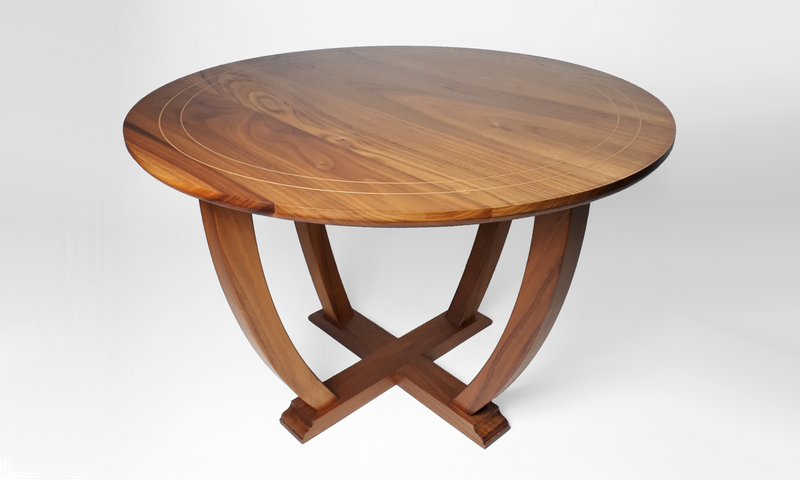 The curved and circular nature of this table makes it ideal as a centre piece to any lounge area. 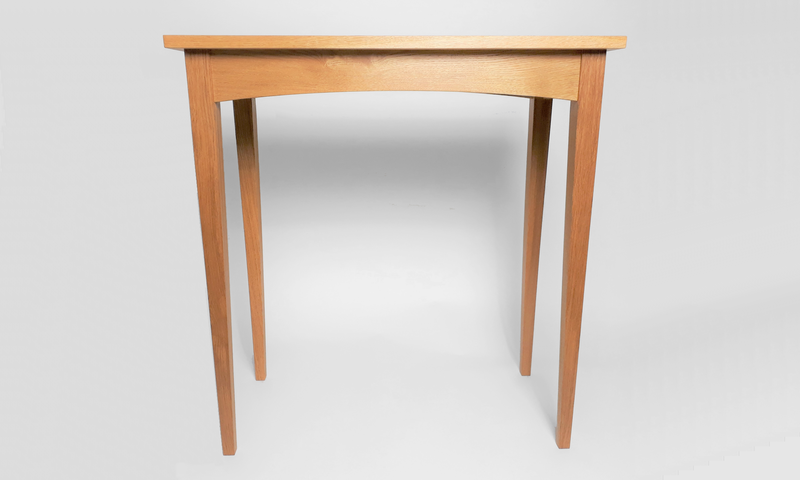 A beautifully proportioned hall table in English oak. 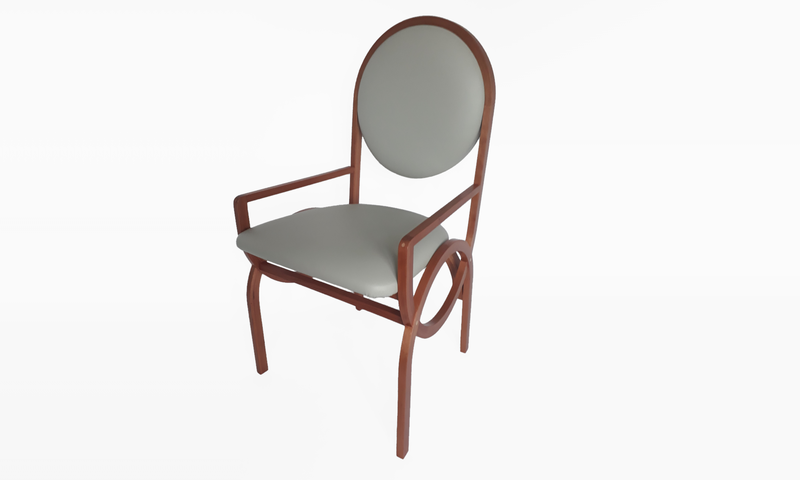 Its apparent lightness of form is accentuated by the curved aprons and tapered legs. 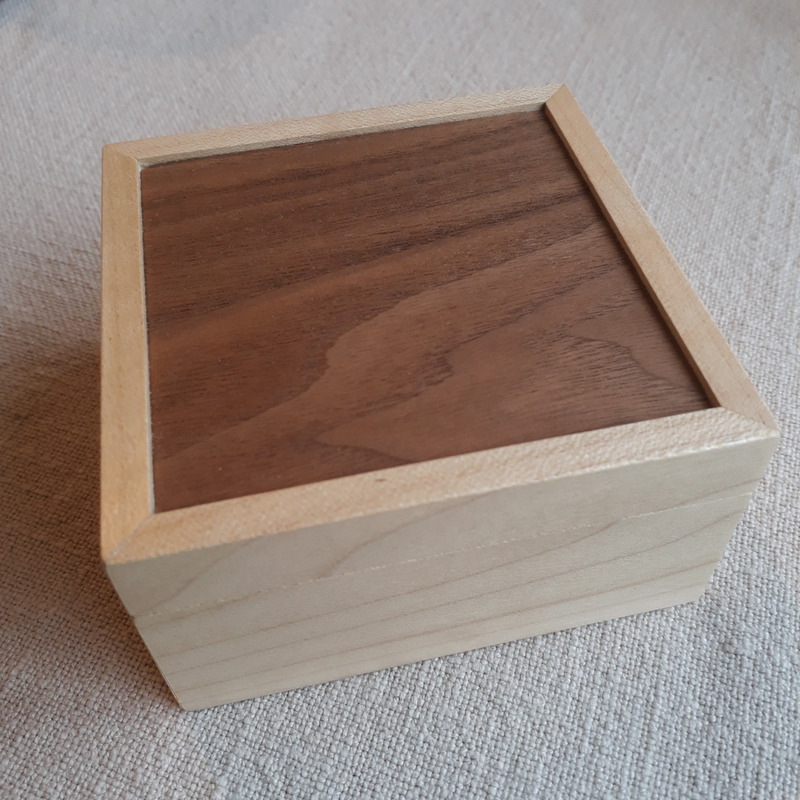 A simple sycamore box with walnut lid. Created for a client to hold a jewellery heirloom.